Pirate Mack Moderie fights for the ball. 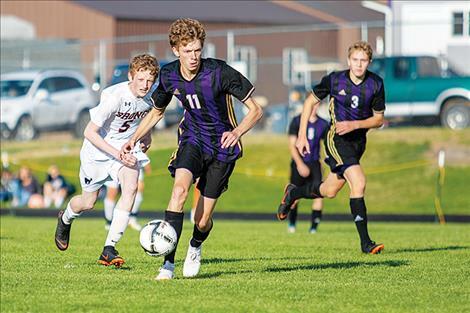 POLSON – Robin Erickson netted two goals and an assist as the Polson Pirates boys’ soccer team opened the season with a 3-0 shut-out win over visiting Frenchtown Broncs in a Class A nonconference match up Thursday evening. 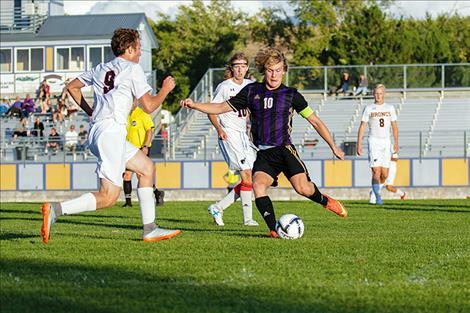 The Pirates took a 1-0 lead just six minutes into the game when Erickson buried a goal off a pass from Bridger Wenzel. Two minutes later Mack Moderie gave the Pirates a 2-0 advantage off an Erickson assist. 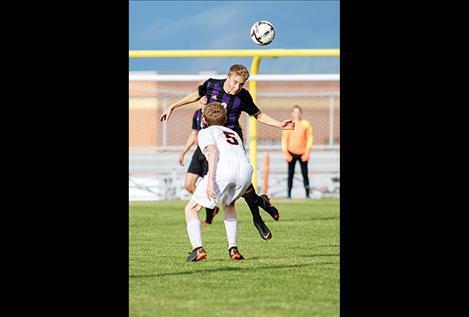 Polson continued its strong start to the 2018 campaign in the second quarter by holding Frenchtown scoreless with an aggressive and stifling defensive performance. Erickson scored his second goal of the contest at the 72:00-minute mark off an Alex Wall-Wilbert assist. “We’re a lot better, and the play was closer to the level I would expect from this group,” said Fansher. The Pirates finished the evening with eight shots on goal, while goalie Xavier Stalkfleet had six saves. On Saturday afternoon, the Pirates improved their record to 2-0 with a 6-1 road victory over Loyola. Erickson, Wenzel, and Elijah Taylor each scored a goal in a game that saw four different players score for the Pirates. Moderie led all scoring in Saturday’s game with three goals. The Pirates finished with nine shots on goal, while goalkeeper Stalkfleet made three saves and Kaden Nelson made two saves. 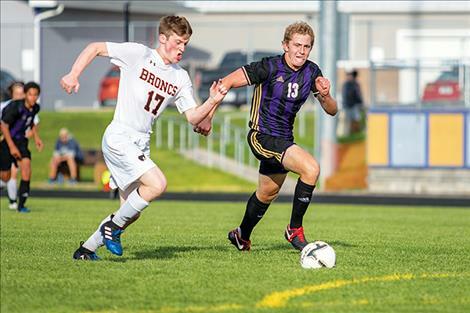 The Pirates will look to continue their winning trend when they host Billings Central on Friday evening at 5 p.m.